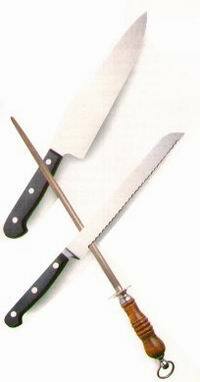 knives with Rosewood or Fibrox handles, forged Chef's knives. 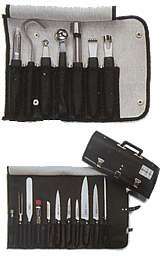 Individual or sets, chef's cases available. 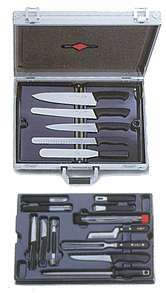 Cleavers, carving forks, scissors, steels, knife blocks, knife sharpeners and all other kitchen gadgets available. Colour coded knives with red, blue, black, white, yellow and bubinga handles.